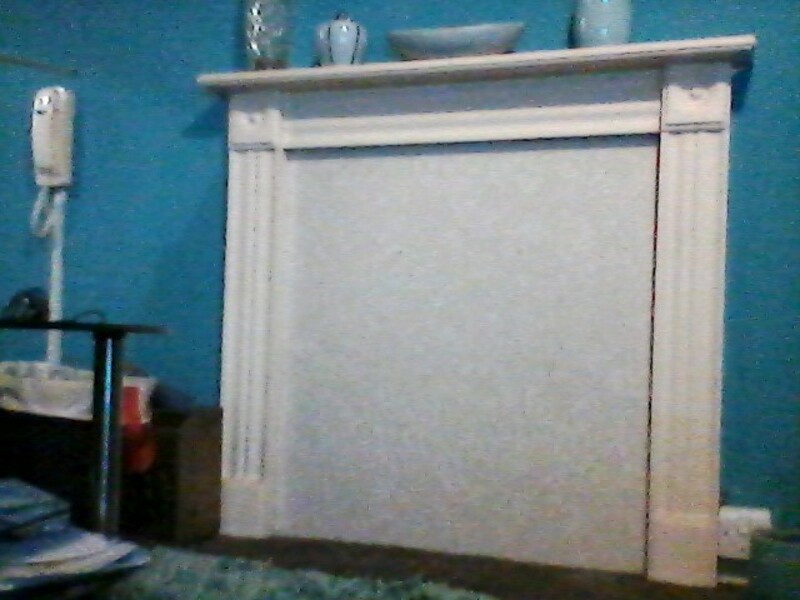 I've got a beige fireplace surround and mantle with a piece of beige plastic covering were the fireplace once went. 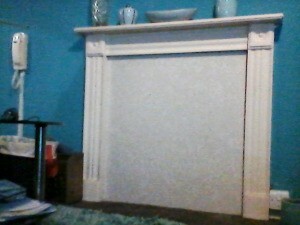 I've painted my feature wall a sky blue and I've got a dark grey carpet. I'm looking for any suggestions or ideas for something to cover the piece of plastic up. I was thinking maybe a picture of either some planets or a maybe a stormy sea, with the picture having contrasting colours of blues and greys, or maybe even stars, or a stary night. Please can anyone give me some inspiration. I look forward to any welcome suggestions. I think a picture of a fire would be really nice. It would look almost as if there were a fireplace. Wallpaper patterns in unique designs are very trendy now. You could cover the plastic with a wallpaper design that complements your décor. Peel and stick wallpaper might be the easiest type for you to use in this situation. I love the white and think it would be neat to have seasonal scapes in front of it...like plants or neat decorations. This way you can change it up, use things you already have and showcase them against the framed white background. So pretty...the paint color!! Blessings! I think it would look really nice as a stone wall. Collect stones and pebbles of different shapes and use cement to "stick" them and let dry on to the plastic covering.